Following revelations that radiation levels around the crippled Fukushima nuclear plant are enough to kill an exposed person, the Japanese prime minister said he will take immediate steps to improve the cleanup efforts. The Japanese government will initiate “prompt, comprehensive steps” to clean up the wrecked Fukushima nuclear plant amid lingering doubts over the plant owner's ability to handle the crisis, Prime Minister Shinzo Abe told reporters on Monday. The pledge follows a weekend of negative news concerning the Fukushima Dai-ichi nuclear plant that was devastated by the 2011 9.0 earthquake and tsunami. Tokyo Electric Power Co (TEPCO), the beleaguered owners of the facility, said on Saturday that radiation levels of 1,800 millisieverts per hour near a leaking tank holding contaminated water was 18-times worse than previously believed - a level that could prove fatal within four hours of exposure. 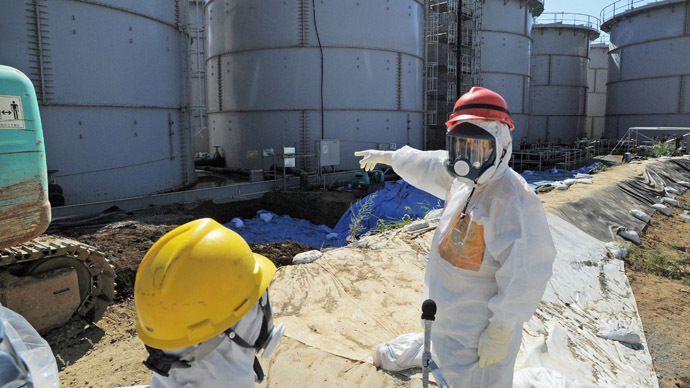 TEPCO managers, however, remain confident they can guarantee safety for workers on the ground at Fukushima. "We will find out the cause of this issue and make proper countermeasures immediately, and continue to make every effort to secure safety of workers," the company said in a statement released Sunday. 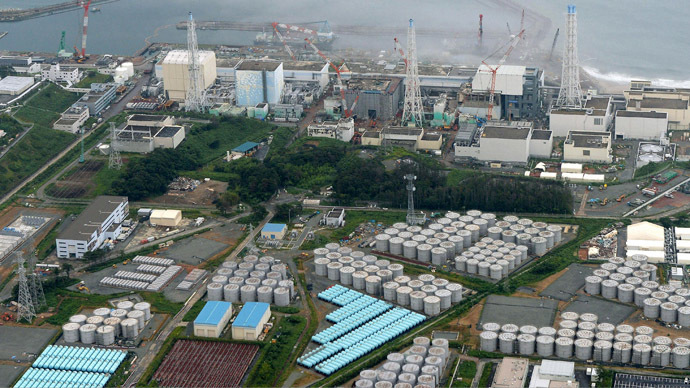 Meanwhile, the Nuclear Regulation Authority (NRA), Japan’s nuclear watchdog, announced on Monday it may release water from the crippled Fukushima nuclear plant that contains radiation levels below the maximum threshold level into the ocean. Vast amounts of water are being pumped continuously into the damaged facility to cool the melted fuel rods and prevent further radioactive contamination. 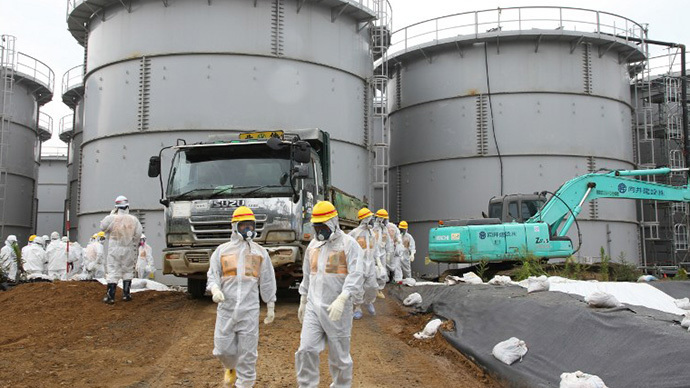 This procedure requires TEPCO to store the contaminated water in an ever-growing number of holding tanks, some of which are leaking their radioactive contents into the ground. Experts have said the scale of water leakage may be worse than nuclear industry engineers and government officials are willing to admit. 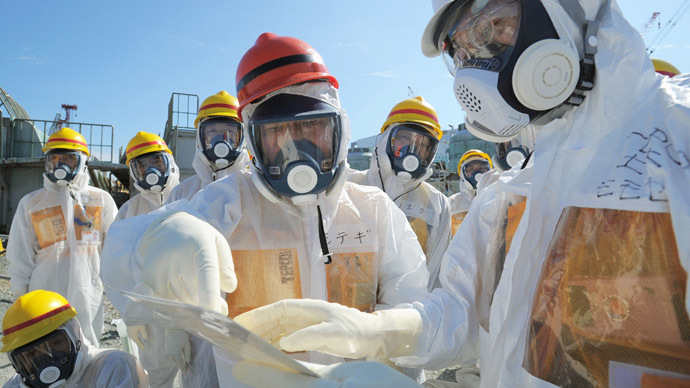 Abe pledged that his government will take all necessary measures to handle the emergency cleanup efforts of the world's worst nuclear disaster since the Chernobyl disaster of 1986, adding it will draw up a plan of action on the measures "quickly." 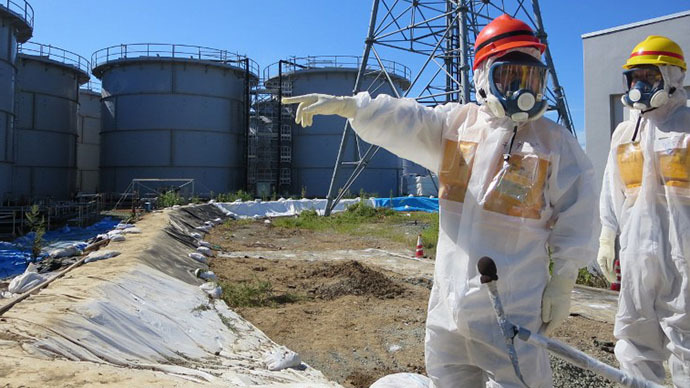 The Fukushima nuclear disaster, combined with the perplexity of the cleanup efforts, has triggered a public backlash against nuclear energy in the country. 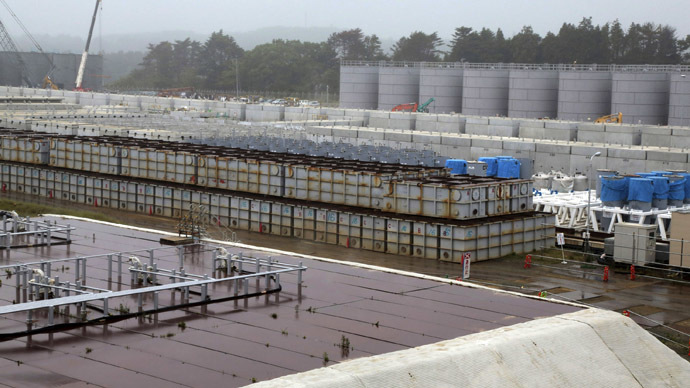 Of the 17 nuclear plants prior to the Fukushima catastrophe that provided Japan with about one-third of its energy needs, only two facilities remain operational. However, those plants are scheduled to be completely shut down on Monday with “no restarts in sight,” AFP reported. Engineers will switch off one of Japan's two working reactors Monday, with the other set for shutdown on September 15. Japan has been forced to revert back to using expensive and less efficient fossil-fuels to fill the demand for energy in the resource-deficient country. 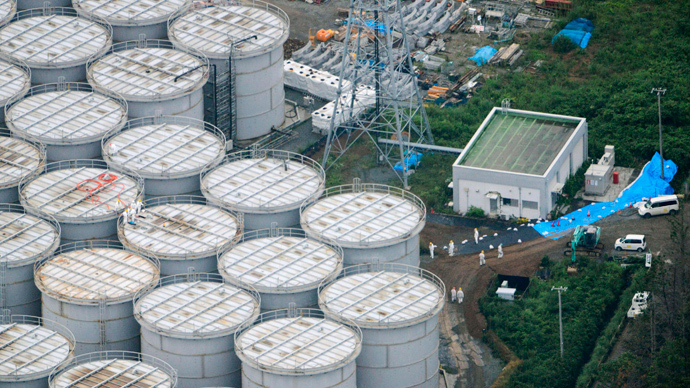 Fukushima, however, represents more than just an environmental and energy disaster for Japan. Government officials also fear the nuclear crisis could dash Tokyo's hopes for hosting the 2020 Olympic Games. The International Olympic Committee will elect the host city – a contest between Istanbul, Madrid and Tokyo - on September 7 in Buenos Aires. Meanwhile, Tokyo is going to great lengths to ensure the world that the Japanese capital has not been adversely affected by the events in Fukushima. The Tokyo Metropolitan Government, for example, now publishes the latest information on radiation levels on its website, demonstrating that radiation levels in Tokyo, which is situated some 230 km (140 miles) from the disabled plant, are on par with or lower than those of other major cities, including London and New York.